Combining social innovation, well-being, efficiency, solidarity in the world of work is possible. AI at the service of the human:A matching algorithm, based on quotes from famous and inspiring leaders, allowing everyone to find the coach that suits him or her best. Social innovation project combining well-being and efficiency at work, both for executives and managers in post and for anyone in transition. Coaches, certified, accredited, you want to join a humanistic and ambitious adventure at the service of leaders of large groups? Our Supervisory Board is waiting for your application. We meet in our new offices at STATION F.
Prest-Conseil, Horses and Coaching & Board Member. In the digital era, TPTC coachs have established experience in the professional world and great understanding of the major issues for executives. Certified by the most prestigious schools and accredited by leading federations, they have occupied board level positions. They cultivate values of humility, performance, benevolence and creativity. CEO of The Place To Coach; Professional coach; Training and HR consulting. Partner - Co-Chairman of the Supervisory Board Expert Coaching. President of TransformancePro and Senior Advisor at Bain & co.
Coach professionnel; Conseil en Management et Conduite des Transformations. 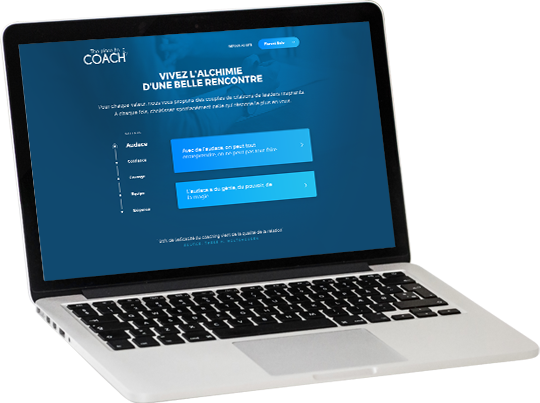 Coach professionnel; Conseil - Formation - Coaching des responsables solutions. Partner at BeThe1; Professional coach; MSc holder "Consulting & Coaching for Change". Professional coach; MSc holder "Consulting & Coaching for Change". TPTC is an executive coaching firm turned into a start-up. This means that we respect the performance expectations associated with the coaching profession but that we also offer bigger companies a disruptive innovation aimed at making the selection of coaches easier and personalized. A matching algorithm based on quotes from famous and inspiring leaders. Our matching algorithm relies on choosing, based on your values, one quote out of a pair. These were selected by our team and supervisory council and are from inspiring leaders such as Steve Jobs, Winston Churchill or Mohandas Gandhi. - The HYBRID COACH (around 50%). ESCP Europe Alumni in Marketing and holder of a third cycle diploma in Human Resources. He is certified by “L’Académie du Coaching” and MBTI-trained. Timothée is a Senior Executive with 7 years as marketing manager (Mondelez, L’Oréal), 13 years in HR consulting and as an Human Resource Director ( Zodiac, Natixis, ICP) then created The Place To Coach in 2015. 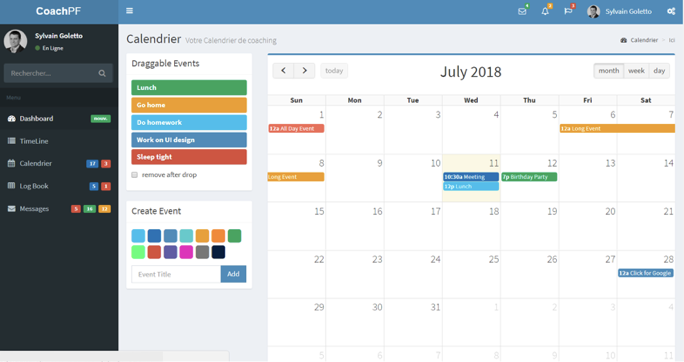 He is also a member of the Lab RH and of the Career Commission of ESCP Europe and the co founder of HappyTech..
Human resources, coaching or executive managers, organize and efficiently manage the coaching of your managers. 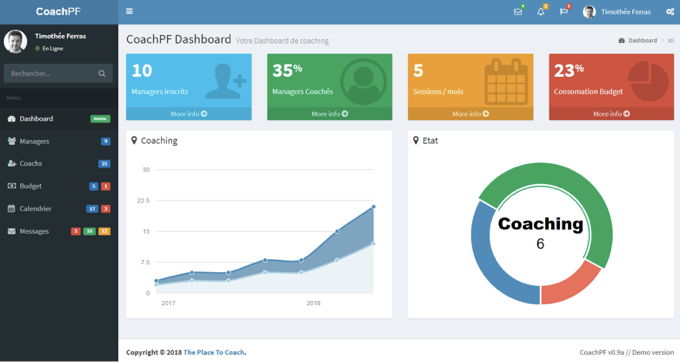 Managers, meet your ideal coach with our unique matching algorithm and simply organize your coaching. All our coaches have professional experience in business at Management Committee levels. They respect criteria of excellence, requirement and humility in relation to their profession. THE PLACE TO COACH has a Supervisory Board, co-chaired by Vincent Lenhardt (Transformance Pro), and Annie Cottet (SF Coach 2014-2017), and we are in permanent dialogue with the Presidents of 3 Coaching Federations (SF Coach, EMCC, ICF). We are partners of the EMCC Colloquium (2017 and 2018) and the ICF Forum (2017). Many of us are SF Coach licensees or certified. TPTC now federates 50 coaches in France + International, and ultimately aims for 1,000 certified coaches in its eco-system. Our quality label is based on the certification system of the best schools of coaching, and certification of federations. "80% of the effectiveness of coaching is the quality of the relationship" Our matching algorithm is an attempt to predict the quality of the relationship. Our concept is based on a well-known fundamental of the best coaching schools: the transferential relationship. Emotions are present in coaching, they are at the service of the liberation of the individual and the effectiveness of coaching. Without ignoring the mystery that lies in the Alchemy of the encounter, and with lucidity, our algorithm questions each party on his vision and leadership style, and on his leadership or coaching identity.